MIRENA LAWSUIT STATUS: Financial compensation may be available through a Mirena IUD lawsuit as a result of the manufacturer’s failure to adequately warn about the risks associated with the device. 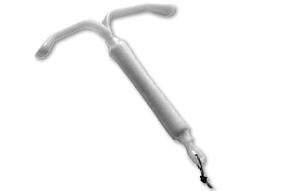 The Mirena IUD (Intrauterine Device) is a form of birth control that is placed into the uterus to prevent pregnancy. However, a number of women have reported suffering serious and debilitating injuries associated with side effects of Mirena, where the IUD may perforate the uterus, migrate to other parts of the body, cause infections or other problems. Women injured by the Mirena IUD should consider filing a Mirena IUD lawsuit to obtain the compensation they need to cover their medical expenses, lost wages, and pain and suffering. The Mirena IUD, which is sometimes referred to as an IUS (intrauterine system), is a long-acting, hormonal contraceptive. The IUD is inserted into the uterus to disrupt the egg and sperm. Merina also releases levonorgestrel, a progestin, which helps keep the woman’s ovaries from releasing eggs. Mirena was approved by the FDA in 2000, and use has grown in recent years amid heavy promotion of Mirena as a hassle-free form of birth control that lasts for 5 years or longer. The manufacturer has been attempting to promote Mirena IUD to appeal to younger and younger women and girls, despite serious risks that they may not be adequately disclosing or warning about. Although the Mirena warning labels do indicate that there is a risk of perforation, the information provided to consumers and the medical community suggests that such problems only occur during insertion of the IUD, which is misleading and inaccurate. A large number of women have experienced “spontaneous” Mirena IUD perforations that may occur years after the device was inserted. As a result of a failure to warn about these problems, women may not detect that the Mirena has moved out of place, which may further increase the risk of infection or injury to nearby organs. In many cases, women have required surgery to remove Mirena IUD from their body. Mirena IUD litigation is complicated and can involve large sums of money. A personal injury lawyer can make sure that you get compensation.